More than 3000 Tasmanian prisoner identification photographs (mugshots) were taken by the brothers photographer Thomas J. Nevin and Constable John Nevin between 1872 and 1884. 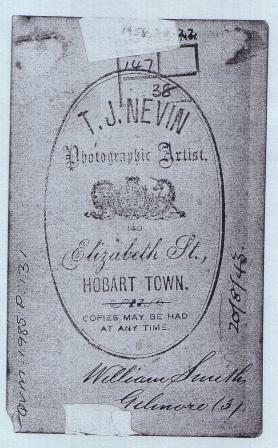 Thomas Nevin worked on commission from 1873 to the mid 1880s with the Prisons Department and the Municipal and Territorial Police in Hobart, Tasmania. 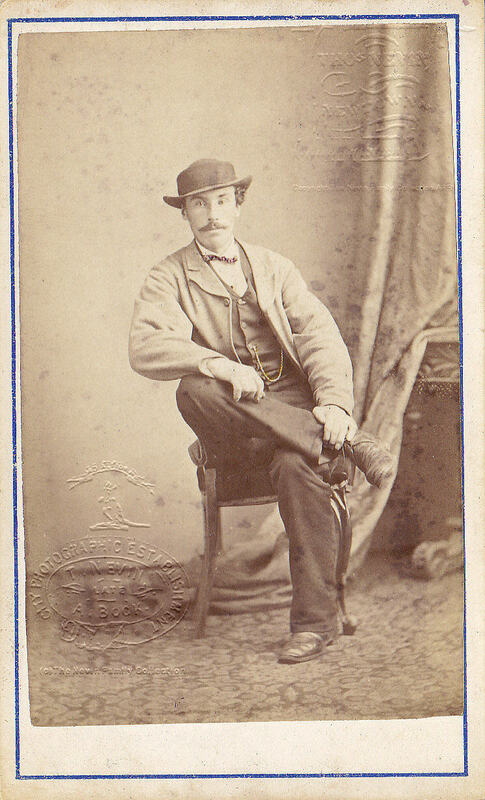 His photographic work was considered invaluable to police, an advantage when he was appointed full-time Office-keeper and Hall-keeper to the Hobart City Corporation at the Town Hall, which housed the Municipal Police Office, the central registry of criminal records, in January 1876. 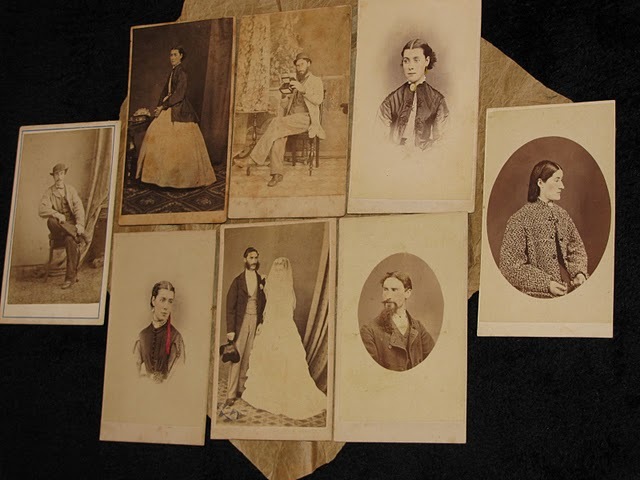 Most of those 3000 taken by the Nevin brothers are deemed missing, possibly destroyed; the extant 300 or so in public and private collections are significant to the national heritage in terms of 19th century prison documentation. This rare example of a criminal parchment record bearing Allan Williamson’s photograph, plus these two examples of the same man William Smith per Gilmore (3), give some idea of the contexts of the photographs themselves and the context in which Nevin worked. The first is typical of Nevin’s commercial portraiture technique of the 1870s. 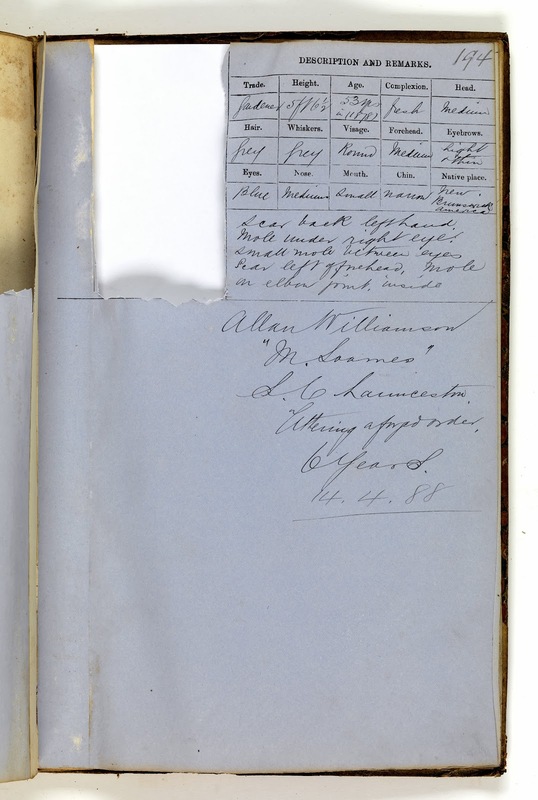 Description: Convict record form on parchment paper for Allan Matthew Williamson. The form is handwritten over a number of years beginning with the arrival in Van Diemans Land on 9th August 1850. 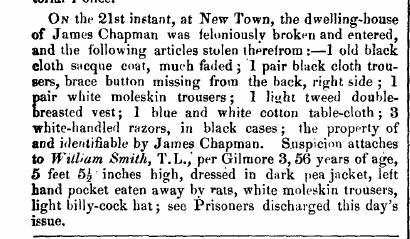 The latest entry records the discharged convicts death on 16th October 1893. The form includes a photograph of the convict. It includes a full description of him at the time of his arrival in Van Diemans Land aged 28 and includes a full record of his offences and sentences of which there are many. The form is rare and a copy is on display at the site in the Museum room at the Penitentiary Chapel Historic Site. Disclaimer – The content of this record is provided by Penitentiary Chapel Historic Site Management Committee. For any questions about the content please contact them. The Queen Victoria Museum and Art Gallery, Launceston, holds a number of similar criminal record sheets with ID cartes attached, though the QVMAG has yet to digitise them online. The Tasmanian Archives and Heritage office (State Library of Tasmania) holds registers of prisoner photographs attached to the criminal record sheet with later dates of 1890 and 1892. This document, however, is held on display at the Penitentiary Chapel Historic Site, Hobart. It is a complete prison record on parchment of Allan Matthew Williamson, per the ship Maria Somes (2), from his arrival in Van Diemen’s Land in 1850 right up to his death in 1893. 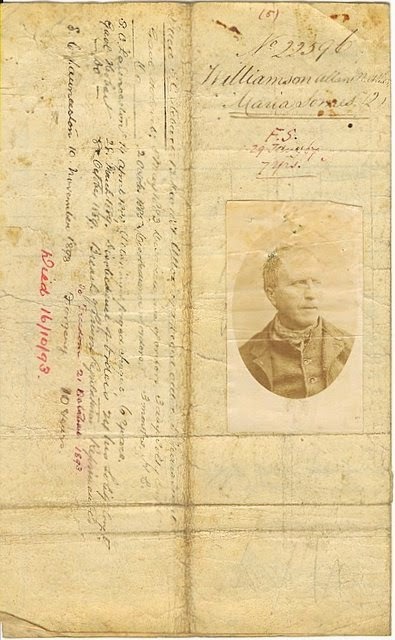 Williamson’s photograph was pasted onto the parchment at the centre of the document, which was folded back on each side, rotated, and used for documenting Williamson’s criminal career for more than forty years. 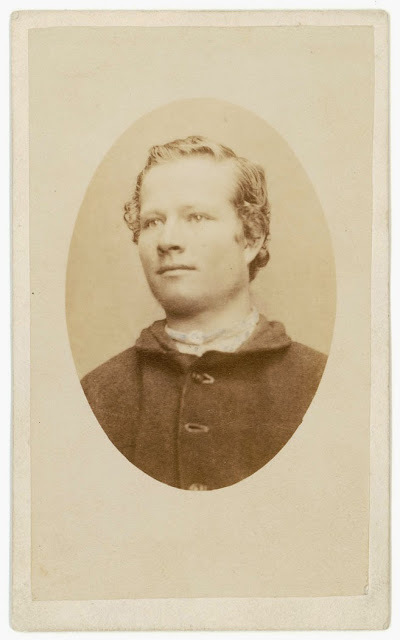 The photograph above of Williamson was taken by Thomas Nevin on Williamson’s discharge from the Hobart Gaol on 8th December 1877 or even earlier. The parchment itself, however, may date to 1867 or even earlier, and the photograph pasted to it a decade later. 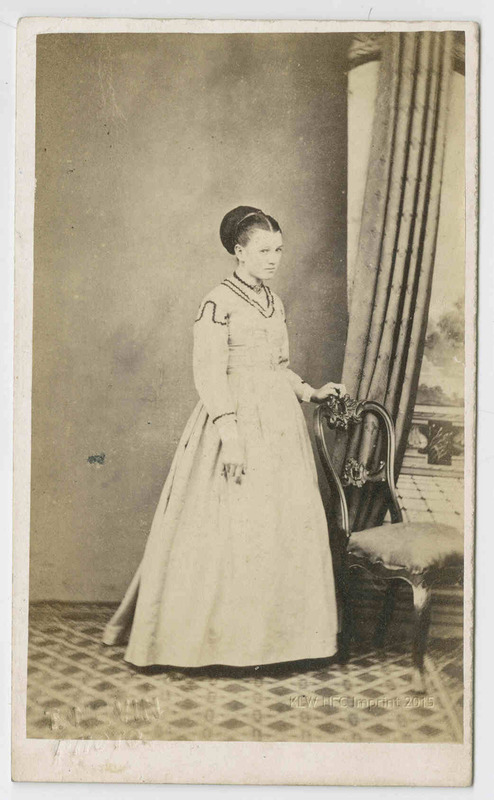 Although this document is rare because it is made of parchment, it bears the standard commercial carte-de-visite studio portrait format used by Nevin and other Australian prison photographers in the 1870s. Police records from the weekly police gazettes show that Allan Williamson was discharged in January 1867, assigned and discharged in December 1877, arraigned in July 1878 for another 4 yrs, and died in custody in 1893. Thomas Nevin photographed Williamson again on 23 July 1878 at the Supreme Court, Hobart; his photograph of Sheeran who was arraigned in the same session is held at the Mitchell Library NSW (PXB 274). 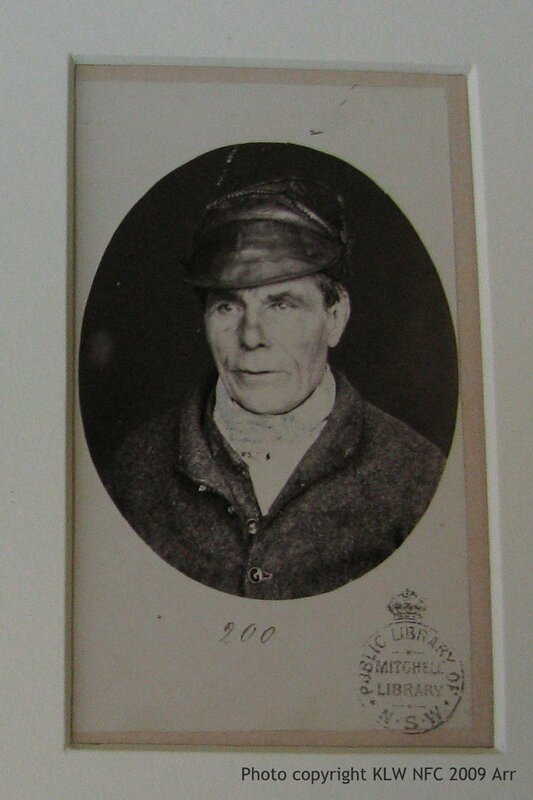 Williamson’s mugshot removed: TAHO Hobart Gaol Records: Ref: GD6719, page 194. Allan Williamson’s prison record sheet dated 14th April, 1888 minus the police identification mugshot. 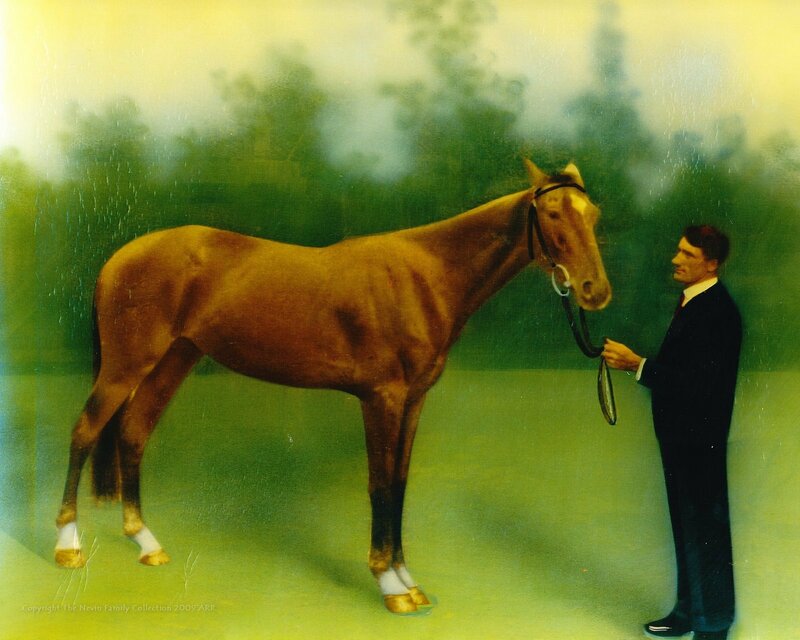 This missing photograph may have been removed for display by archivists from the early 1900s onwards. It may have been a duplicate of the earlier one taken in 1877 and 1878, which would explain the note on this record: “53 years in 1878”. Thomas Nevin’s busiest years were 1873-1880 at the Municipal Police Office and Hobart Gaol, during the transfer of prisoners from the Port Arthur penitentiary on Tasman Peninsula to Hobart as the site there readied for closure (1873-74). The 60 or so prisoners still at Port Arthur in 1873 were speedily transferred to the Hobart Gaol, Campbell St, as both government MPs and the public alike demanded the closure of the site with allegations of corruption directed at its principal officer, A. H. Boyd. 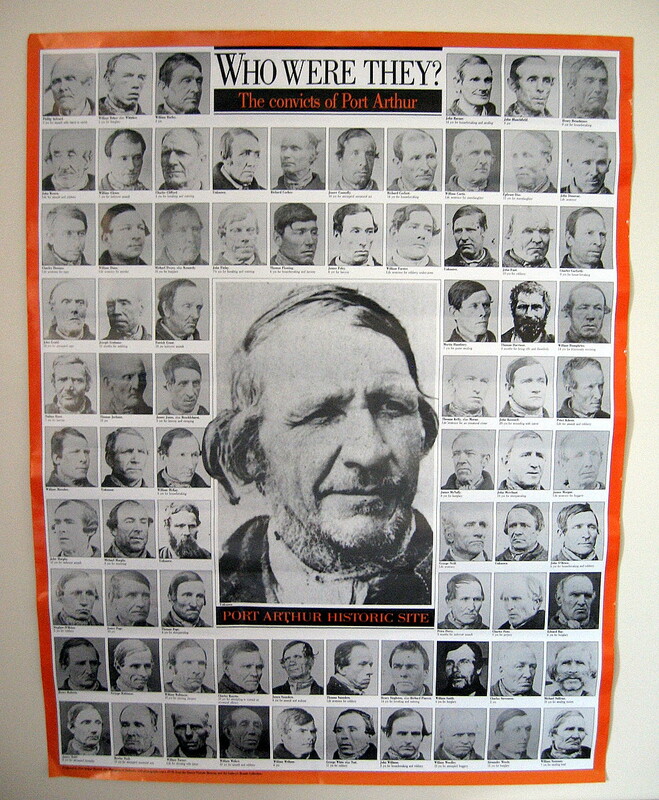 The majority of prisoner cartes-de-visite which now survive are not photographs of Port Arthur convicts who were photographed because they were transportees per se, nor were they photographed at Port Arthur; they were photographed in Hobart for a central registry because they were either released with a ticket-of-leave (Town Hall), or they were recidivists and re-offenders photographed on arrest, sentencing and arraignment (Supreme Court and Hobart Gaol). The weekly police gazettes of the day show a record for every single man in every single carte for these events. The cartes were therefore produced to accompany the central prison and police registers, and this is the most likely original source from which the loose cartes have been divorced. The prison administrator at Port Arthur on the isolated Tasman Peninsula until December 1873, A.H. Boyd, played no role in the taking of prisoner photographs for the Colonial government in Hobart. 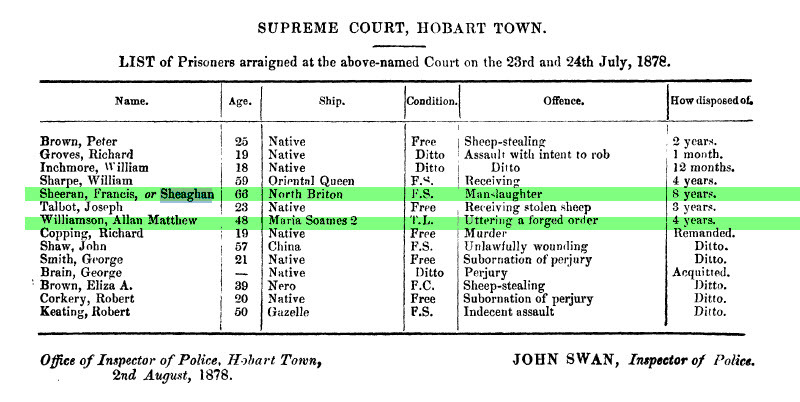 Thomas J. Nevin was assisted by his younger brother Constable John Nevin who was salaried at the Hobart Gaol (H.M. Prison) during the years 1874-1891. The contract was issued by W.R. Giblin, variously Attorney-General and Premier, whose portrait Nevin took ca. 1874. The Giblin portrait by Nevin is held at the Archives Office of Tasmania; the Superintendent of Police, Richard Propsting at the Town Hall Office, the Sheriff John Swan, the Keeper Ringrose Atkins and Inspector of Police at the Hobart Gaol were the Nevin brothers’ supervisors. The Williamson carte might have T. J. Nevin’s stamp on verso, but then again it may not, and for this reason: at least one duplicate of the carte was intended to be pasted to the prisoner’s record. More duplicates were made to be circulated to the police in the event of a warrant after the prisoner’s release. The photographer would not have wasted ink and time printing every carte on verso when the verso would never be visible. 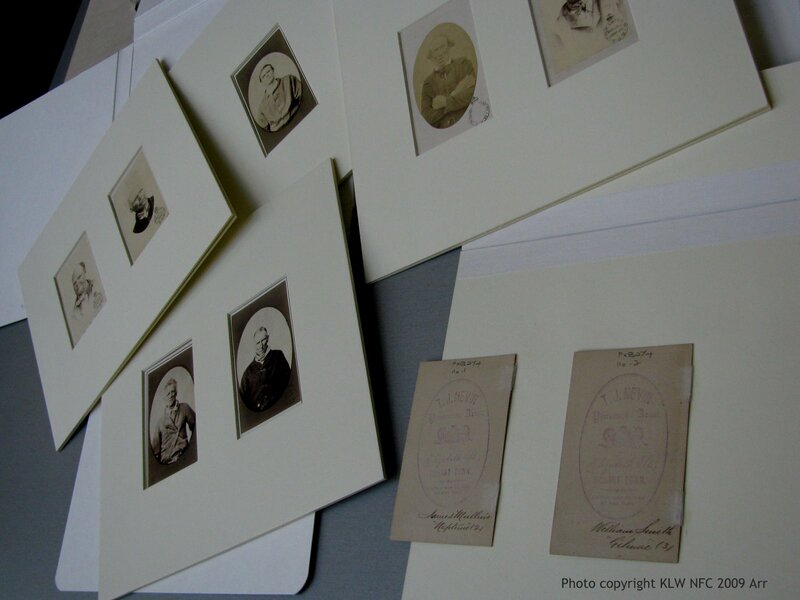 These cartes were co-owned by the government AND the photographer contracted on tender to produce them. Just one carte with the photographer’s official stamp verso per batch of 100 cartes was required by the the Customs and Patents Act. Primarily these cartes were legal instruments stamped with the Royal Arms insignia similar to the seal of the Hobart Supreme Court where many were taken. Their primary function was police records, unlike Nevin’s other cartes of private citizens and those taken on commission, many of which bear his commercial stamps on verso or impressed on mount. No photographer’s stamp other than Nevin’s appear on these convict cartes. The second example is a loose copy bearing T. J. Nevin’s government contract stamp. 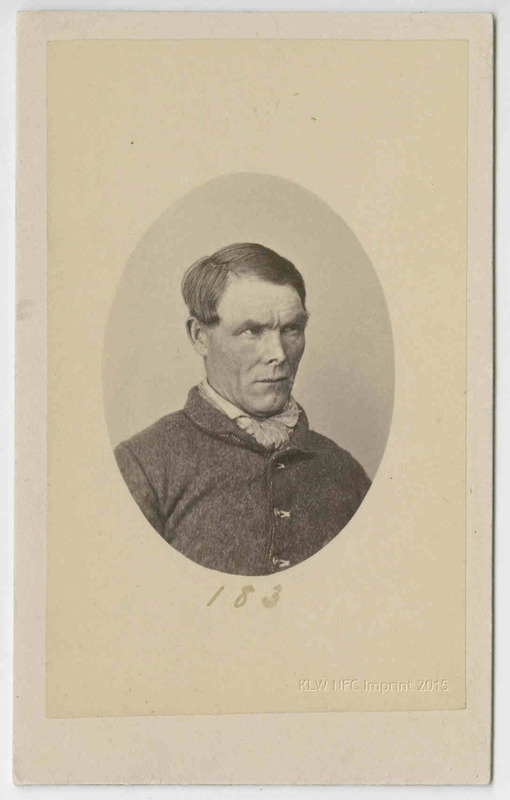 The photograph below of the convict “William Smith per Gilmore 3″ was taken in September 1873. 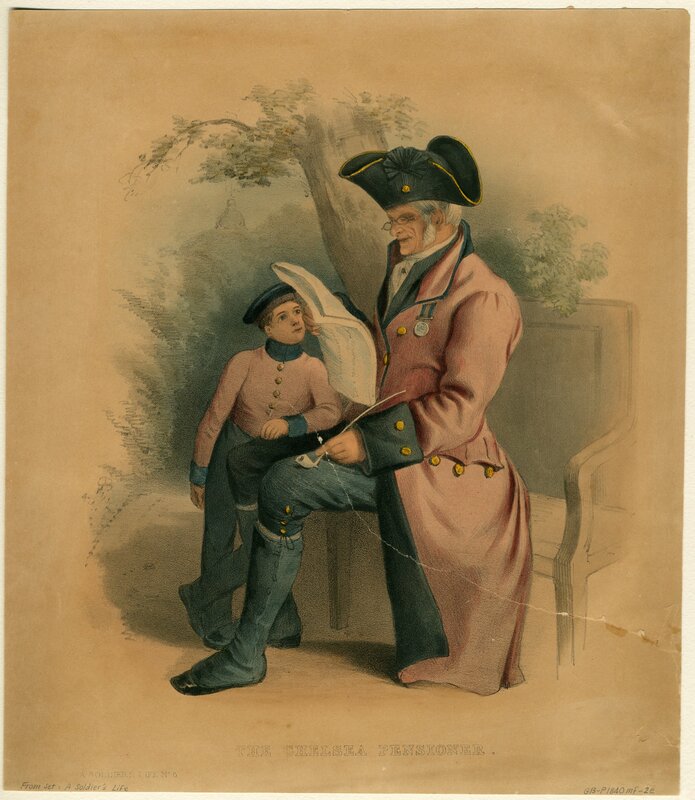 The original carte of Smith with the verso (below) is held at the Queen Victoria Museum and Art Gallery, Launceston. A copy is held at the Archives Office of Tasmania Ref: PH30/1/3244. Why does this carte of Smith bear Nevin’s studio stamp? The question has been asked by photo historians with little consideration to the realities of government tender. It was one of several chosen by Nevin to access his commission, register copyright with the police office, and renew his contract under the terms of the tender. Only one was required per batch, the verso stamp used to identify the photographer’s copyright. with T. J. Nevin’s stamp printed with the Royal Arms government insignia. William Smith per Gilmore 3 was discharged with a TOL 10 September 1873, received from Port Arthur. Note that his age and physical measurements are not recorded at the Police Office because no photograph existed prior to his release. When Nevin photographed him on discharge in 1873, Smith was dressed and ready for freedom. The photograph exhibits a degree of liminality of the prisoner’s state: free on a ticket of leave but classed as a criminal. Smith reoffended again in April 1874, and was discharged 12 months later. 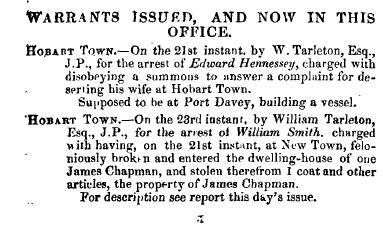 William Smith arrested, notice of 9th July, 1875. Thomas Nevin photographed William Smith again wearing a hat. This is a “booking photograph” taken on the prisoner’s arrest. His dress here signifies again a liminal state between TOL freedom and prison. William Smith per Gilmore 3. The first carte is numbered “199”. This, the second of William Smith is numbered “200”: the sequence of numbers is insignificant, whether transcribed from a police register, or whether devised by archivists in the 20th century.